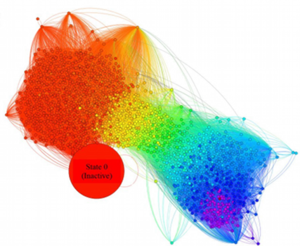 Markov State Model Reveals Slow Folding Phase of NuG2. Biophysical Journal, Volume 110, Issue 8, p1716–1719, 2016. Proceedings of the National Academy of Sciences, Vol. 113, No. 33, 9193–9198, 2016. 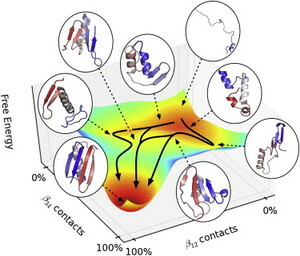 Conformational Heterogeneity of the Calmodulin Binding Interface. Proceedings of National Academy of Sciences USA, 112, 33, 10377–10382, 2015. Methods in Enzymology, 557, 551-572, 2015. 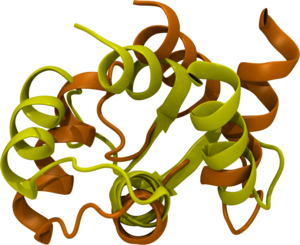 Markov State Models Provide Insights into Dynamic Modulation of Protein Function. Accounts of Chemical Research, 48 (2), 414–422, 2015. 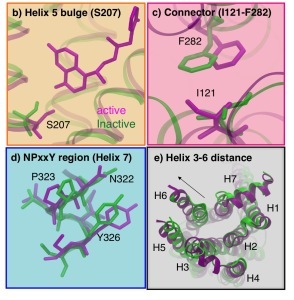 Activation pathway of Src kinase reveals intermediate states as targets for drug design. Cloud-based simulations on Google Exacycle reveal ligand modulation of GPCR activation pathways. Automatic Order Parameters Selection In Markov State Models for Atomistic Understanding of Molecular Dynamics Data. Journal of Chemical Theory and Computation, 12, 10, 5217-5223, 2014. 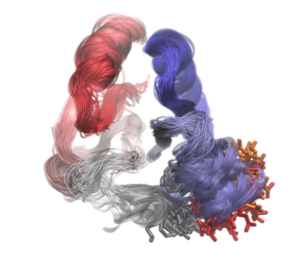 Complex Pathways in Folding of Protein G Explored by Simulation and Experiment. Biophysical Journal, 107, 4, 947-955, 2014. 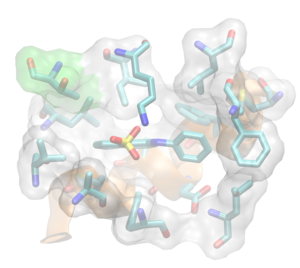 OpenMM 4.0: A Reusable, Extensible, Hardware Independent Library for High Performance Molecular Simulation. Journal of Chemical Theory & Computation, 9, 1, 461-469, (2013).